© Amy Tsurumi. All rights reserved. 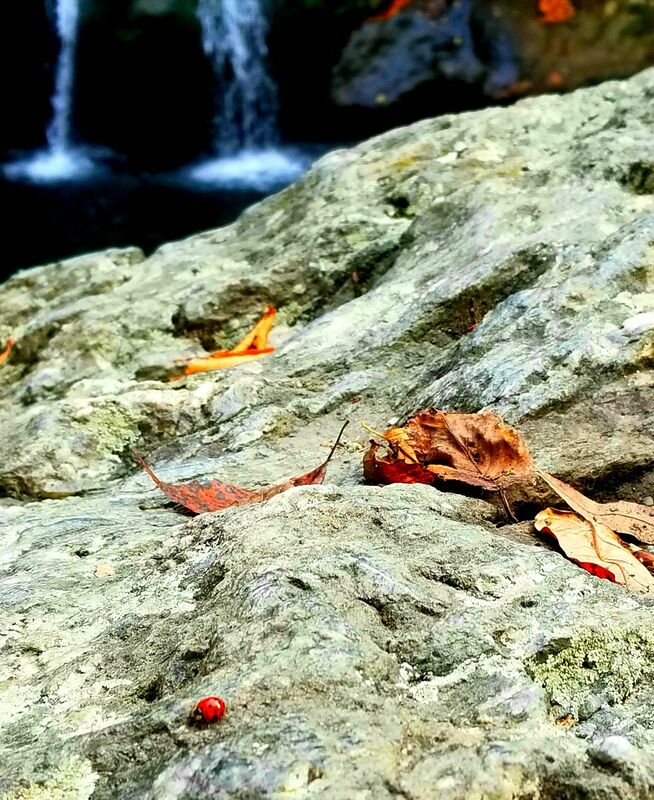 A bright red, tiny ladybug walking on a rock with fallen foliage, with the Big Bish Falls splashing in the background. Date Uploaded: Nov. 30, 2017, 4:26 p.m.